Betty Lou Barker, 93, Nevada, Mo., passed away on Monday, April 8, 2019, at Moore-Few Care Center in Nevada. Betty was born Feb. 22, 1926, in Pitcher, Okla., to Virgil Edward and Mabel (McDaniel) Shumaker. She was united in marriage to Glenn E. Barker on Feb. 27, 1946, in Fort Scott, Kan., and he preceded her in death on June 22, 2001, after 55 years of marriage. Survivors include two sons, Ed Barker and Sharon Duncan, Nevada, Bill Barker and his wife, Linda, Nevada; three grandchildren, Travis Barker, Nevada, Casey Barker-Crews and her husband, Jimmie, Nevada, Jessie Taylor, Nevada; several great-grandchildren; and two great-great-grandchildren. In addition to her husband, Glen, she was preceded in death by her parents; one brother, Raymond Shumaker; and one sister, Helen Young. Graveside services will be held at 10 a.m., Thursday, April 11, at Deerfield Cemetery in Deerfield, Mo., with Pastor Roger Beach officiating. Visitation will be from 5 to 7 p.m., Wednesday, April 10, at Ferry Funeral Home. 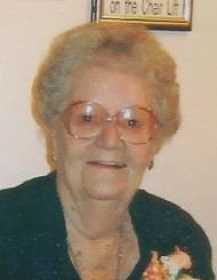 Memorials are suggested in her memory to Vernon County Cancer Relief in care of Ferry Funeral Home in Nevada.